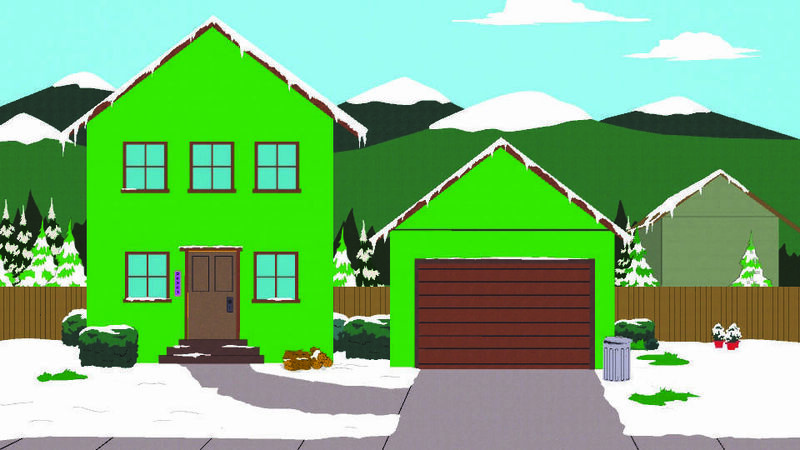 Cartman and Butters get their hands on a drone and can’t resist the urge to take it for a spin around the neighborhood. 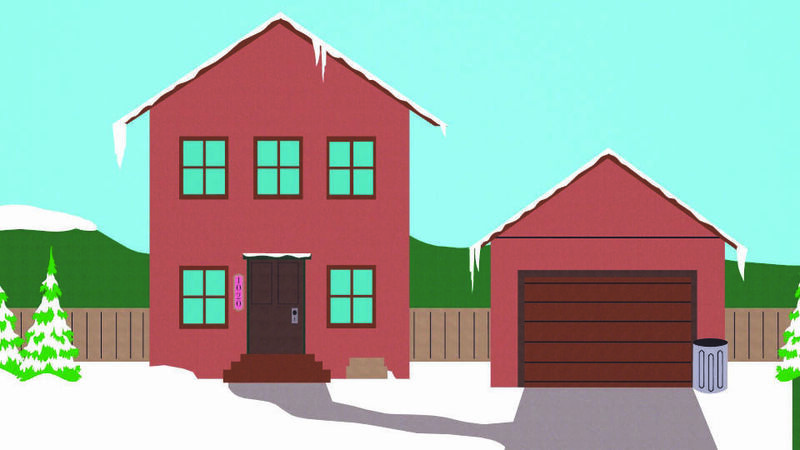 Butters shows Cartman his drone so Cartman Kenny and Butters fly it around and See Craig's moms Bush. 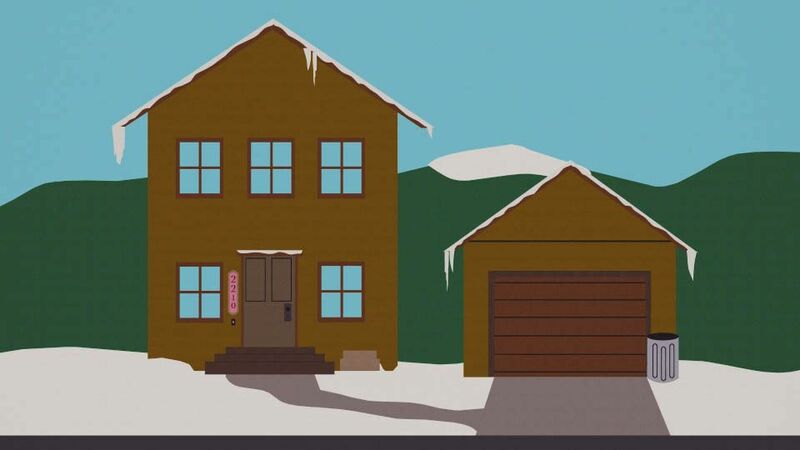 Why Craig's Mom? 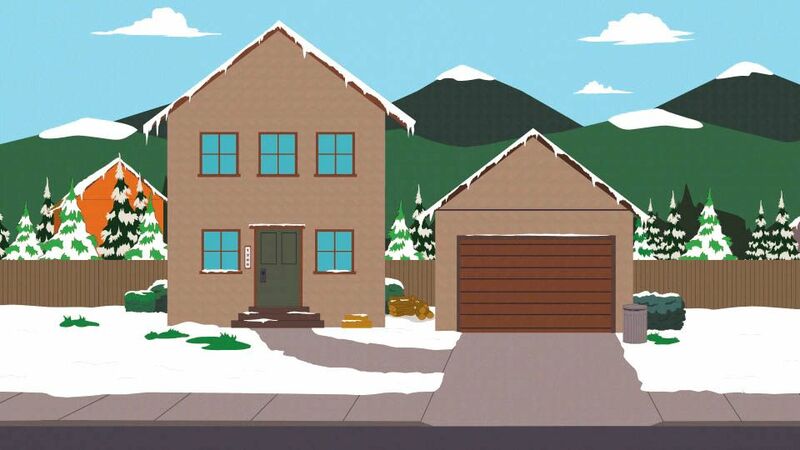 From the writers: "Really, it sounded funny to say Craig's Mom's bush." 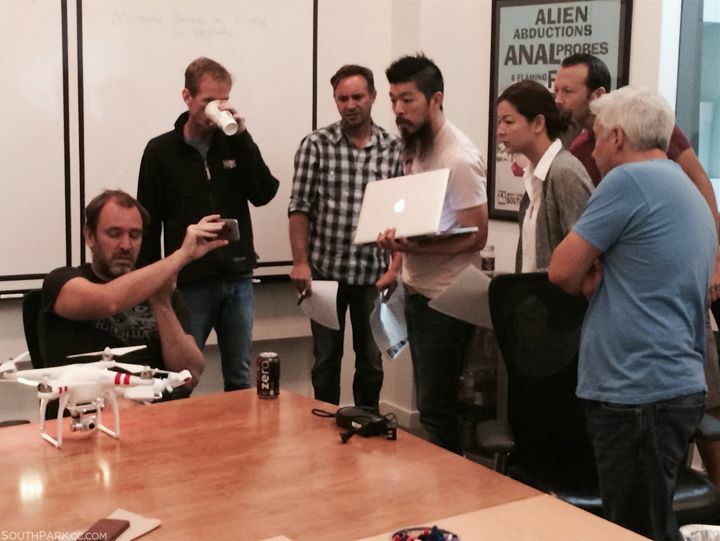 From the writers: The haunted drone idea was something we discussed the 1st day in the Writers Room. Then we went in a different direction. 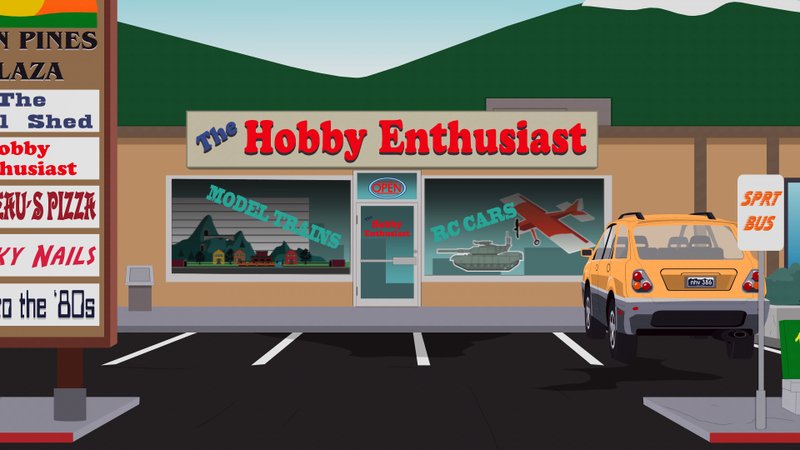 Two days before air, we brought back the idea of the drone being haunted, along with the "enthusiast" idea. 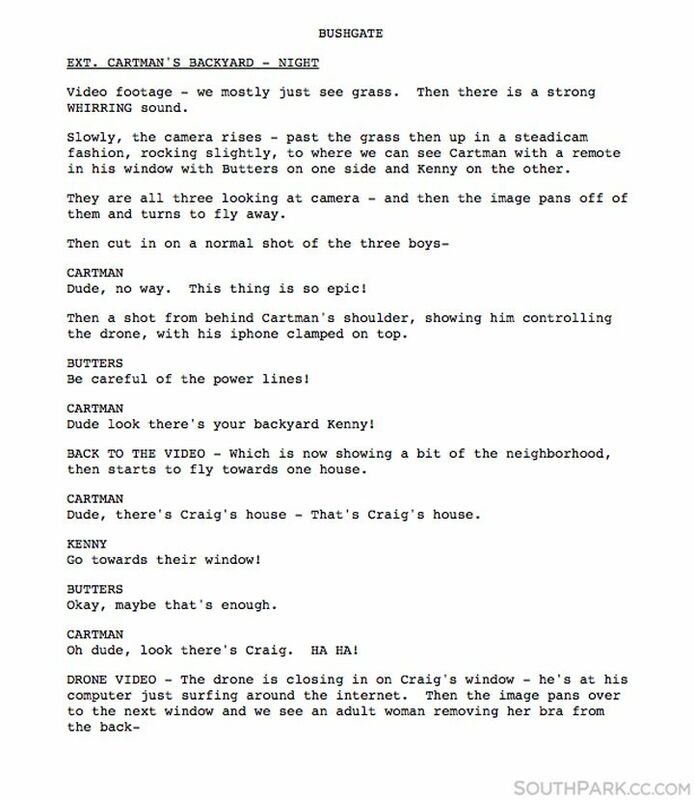 Trey giving notes during production of 'The Magic Bush". Art used while designing the drone. 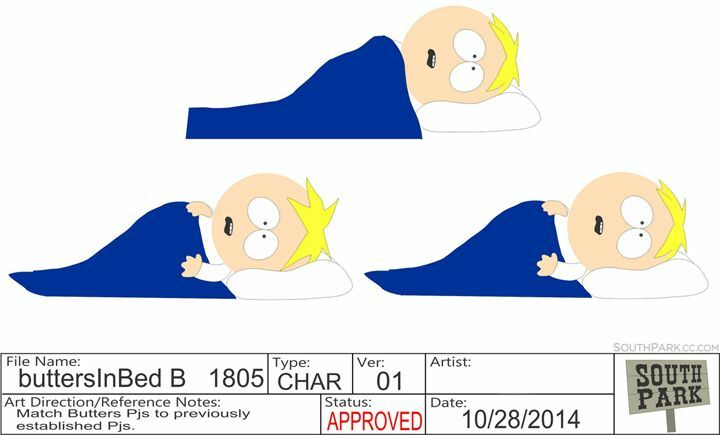 In the first draft of the script, this episode was called "Bushgate"
This shot of Butters in bed required new poses. 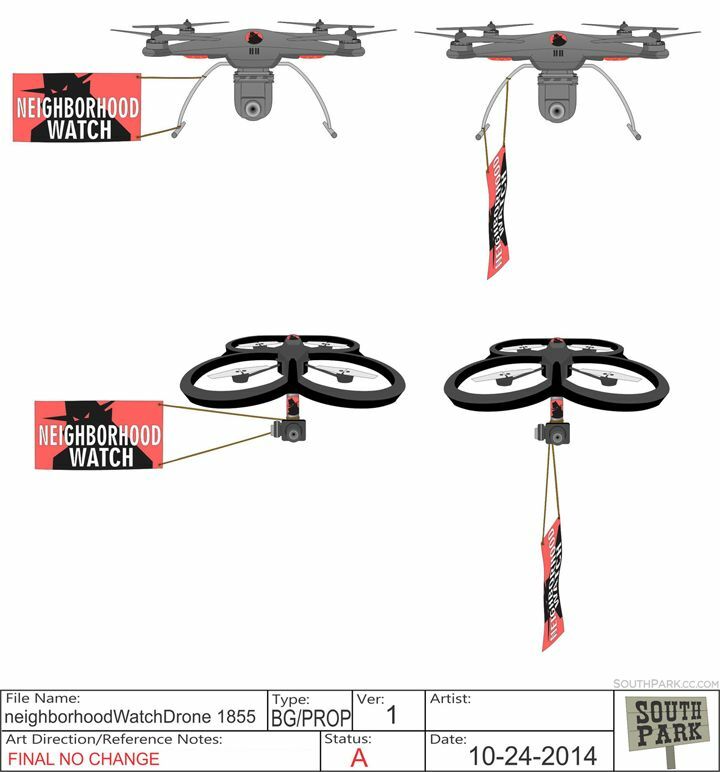 All the drones, including this Neighborhood Watch drone, were designed by the Art Dept. Craig's Mom got a totally updated look for this episode. 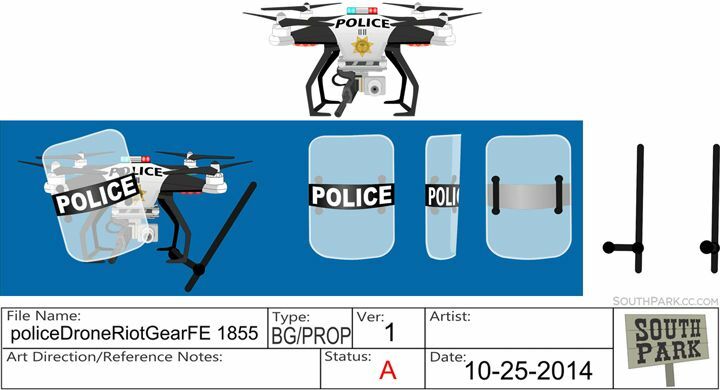 Production art used while designing the Police drone. 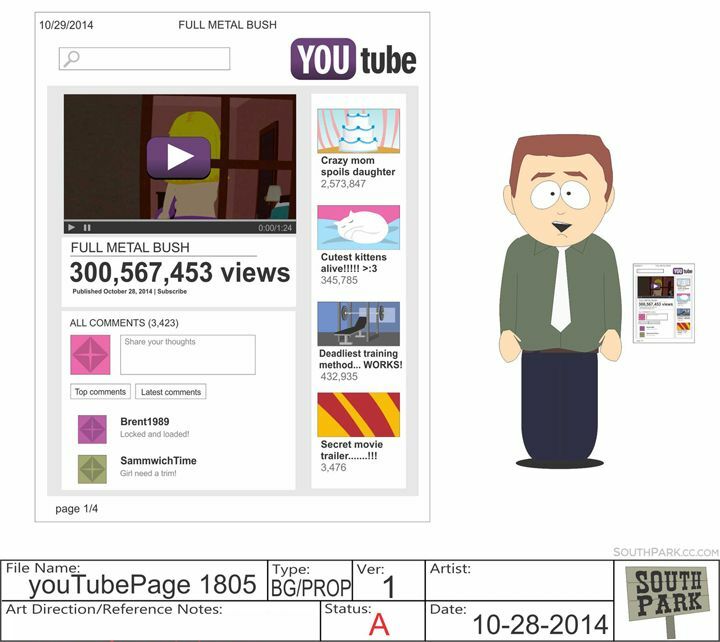 All props, like this "Full Metal Bush" video page, are mocked up & designed by the Art Department. 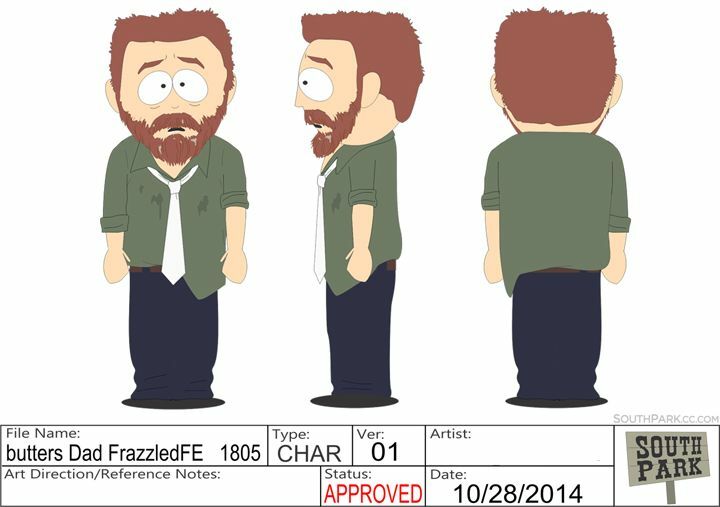 This "frazzled" version of Butters' Dad required all-new art. 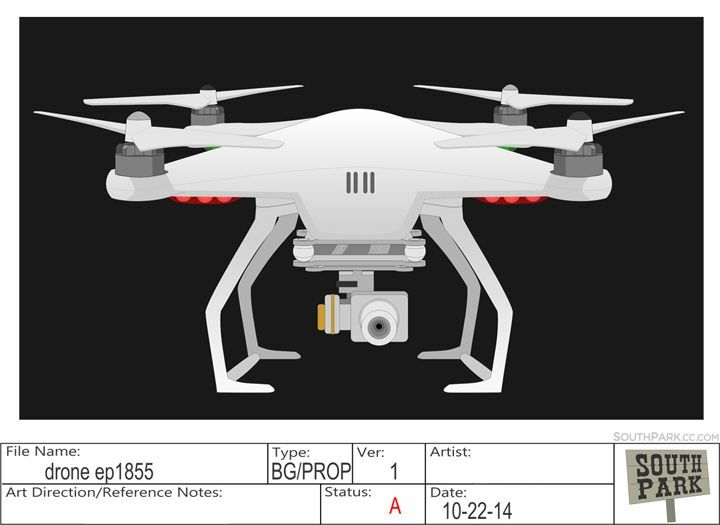 This drone storyline parallels the recent riots in Ferguson, Missouri. This is the first time we've ever heard Stephen's middle name: Stephen "Willis" Stotch. 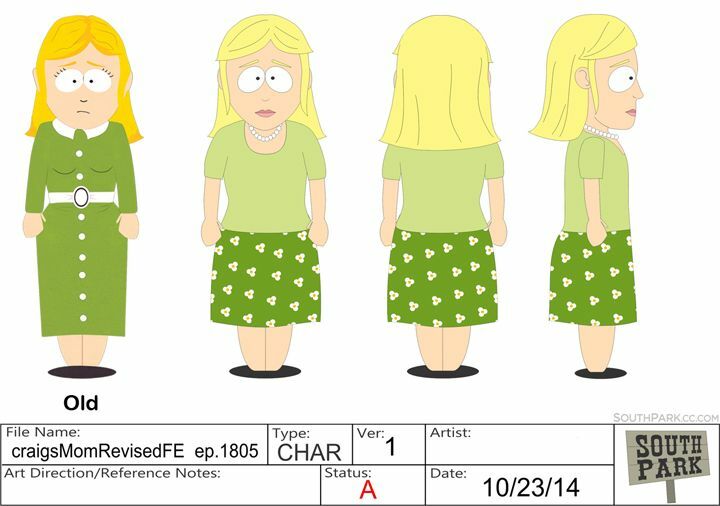 Although she's been around since Season 3, this is the first time we learn Craig's mom's full name: Laura Tucker. 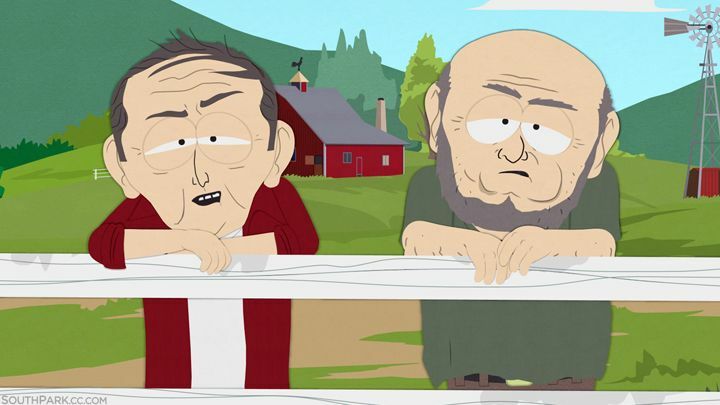 This Farmer originally debuted 3 seasons ago in "You're Getting Old", talking about "shittin in britches".